It’s hard to believe that back to school is right around the corner. It feels like summer just started yesterday and here we are already half way through. I’m already starting to REALLY prep for things. I know you’ve seen the school supply isle set up in full force in Wal-Mart. AAAHHH! Back to school can be fun and stressful. A fabulous group of ladies and I have come together to make B2S shopping a little less stressful. 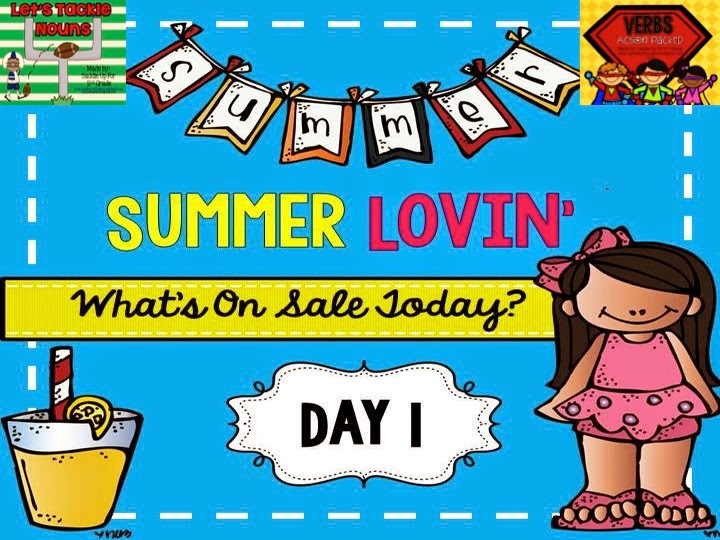 This week we are having a Summer Lovin’ Sale! Each day, a few of my products will be on sale for 50% off!!! Today ONLY, you’ll be able to get some of my favorite ELA units on sale for a heck of deal! These units are also two of my best sellers. August/September is not only B2S. It’s the start of FOOTBALL season! This girl is already counting down the days until college football starts and my Red Raiders take the field! 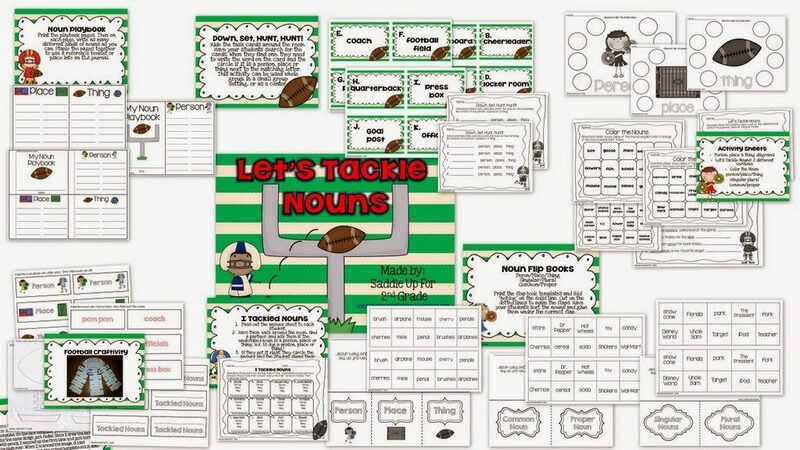 Last year, I created Let’s Tackle Nouns to go along with football season. My boys LOVED it! 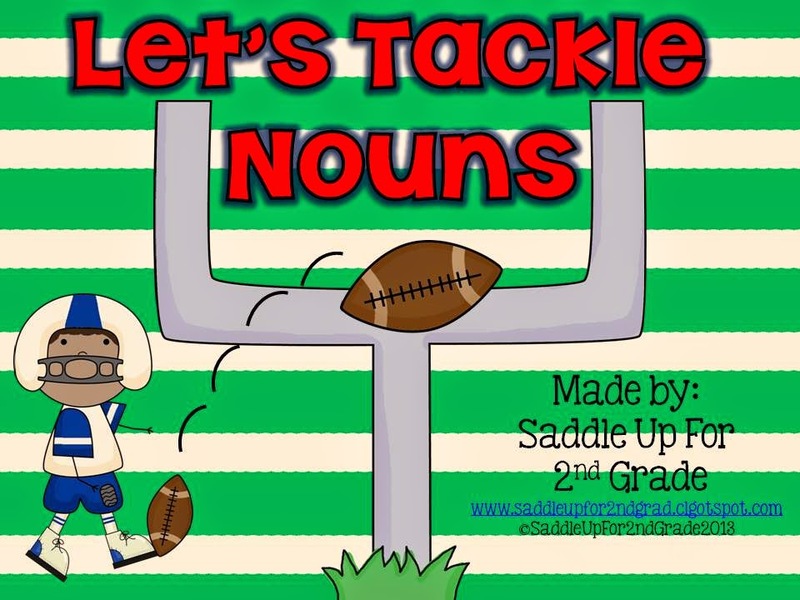 This unit includes everything you need to review nouns. 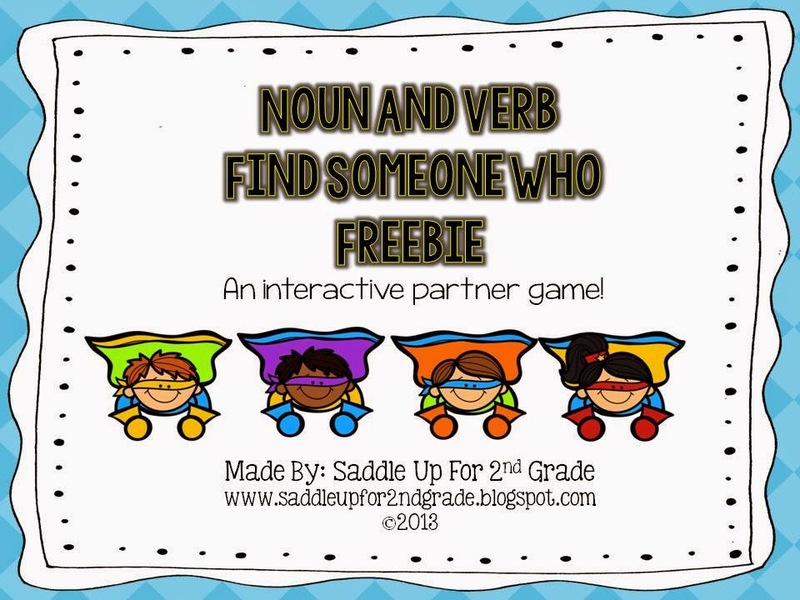 It has graphic organizers, a noun play book, a find someone who game, task cards that can be used for iSpy, scoot, small groups, or in a center. Flip books, activity pages and a craftivity are also included. I borrowed some pictures for a previous post to show you a closer a look at what’s inside this unit. 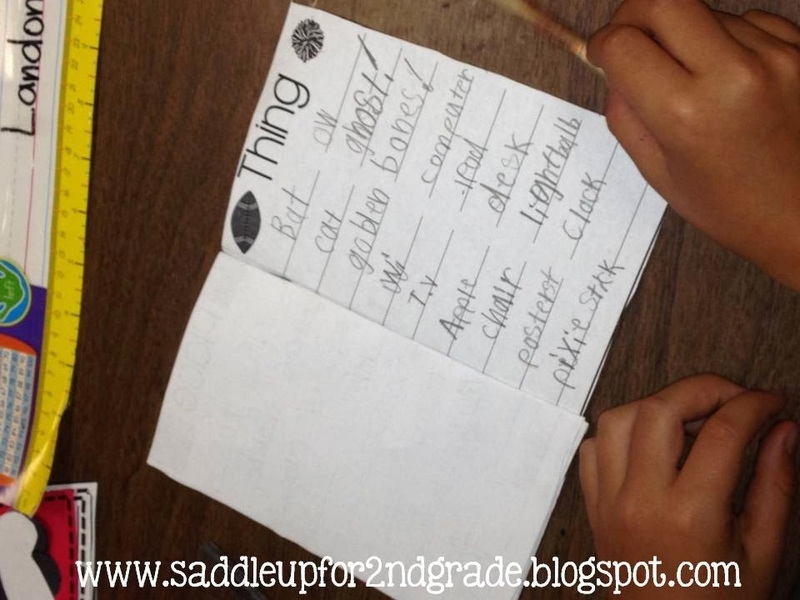 We brainstormed different types of nouns and they recorded them in their play books. We played iSpy with the task cards. 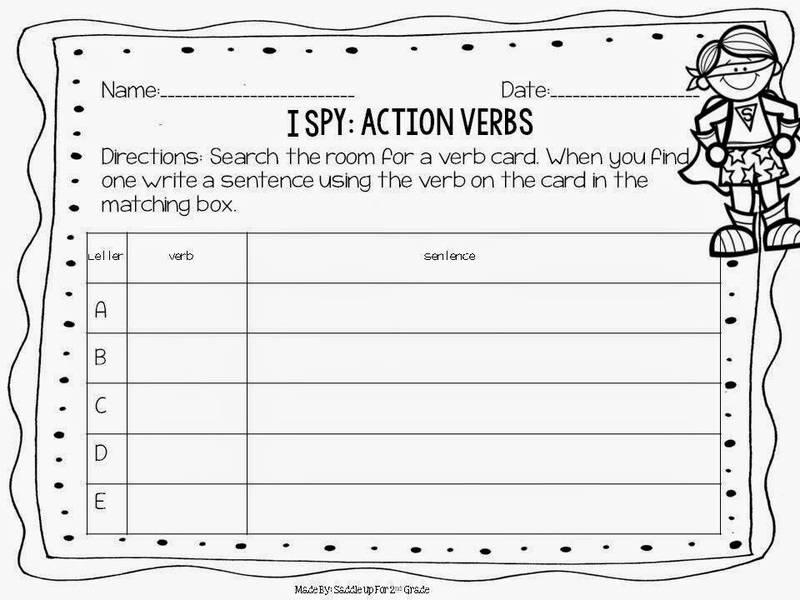 I don’t have a picture of the kids on their hunt but here is a preview of what the task cards look like. There are 12 football themed words. 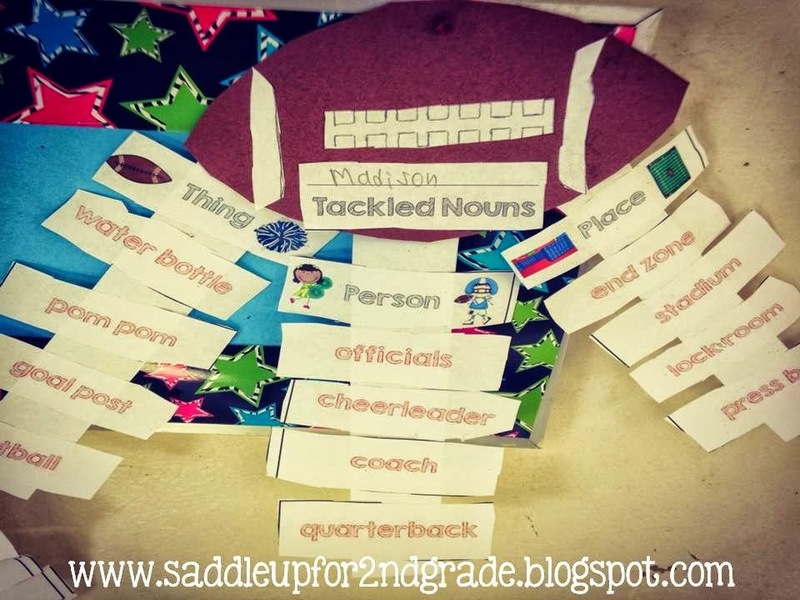 Our football craft was one of my favorite things we made last year. Here is a closer look at the preview. You can grab this unit for 50% off TODAY only!!! 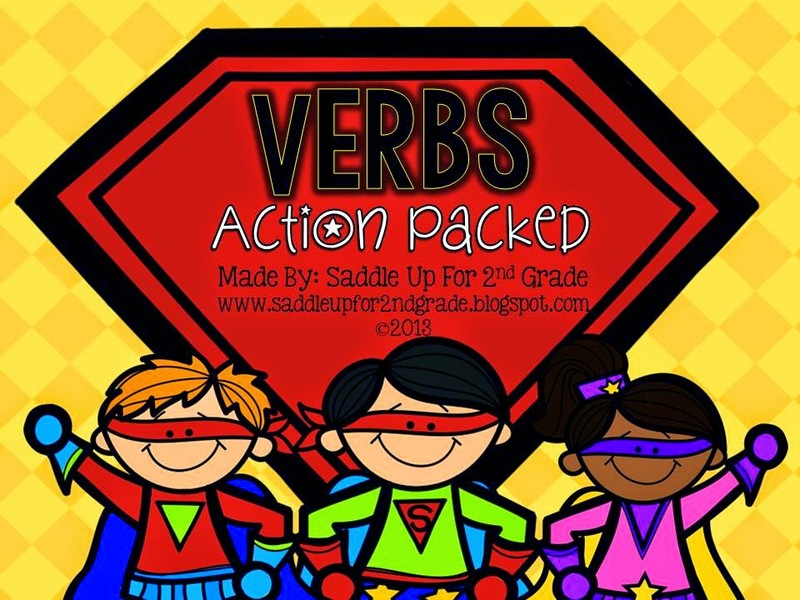 My Verbs: Action Packed Unit is also on sale today! Now, I must have been a bad blogger around the time I used this unit so I’m sorry to say that I do not have any kids in action photos using this unit. I have searched high and low and can’t seem to find them. I’ve gotten a new computer between now and then so that has something to do with it too. 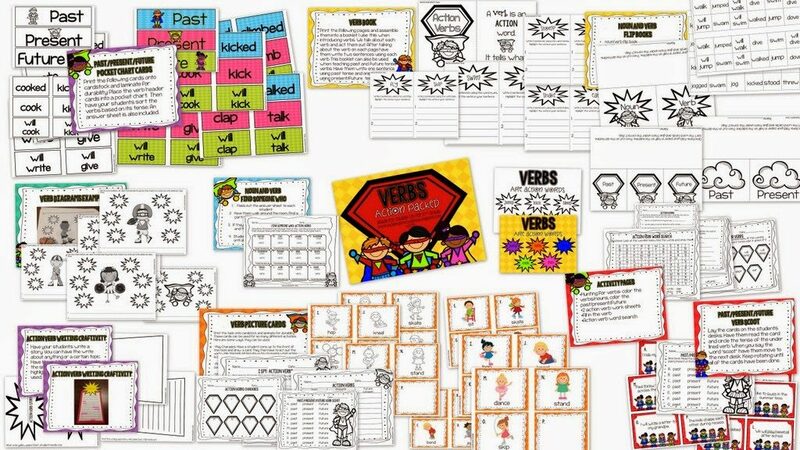 Anyways, this unit is JAM PACKED with verb fun! 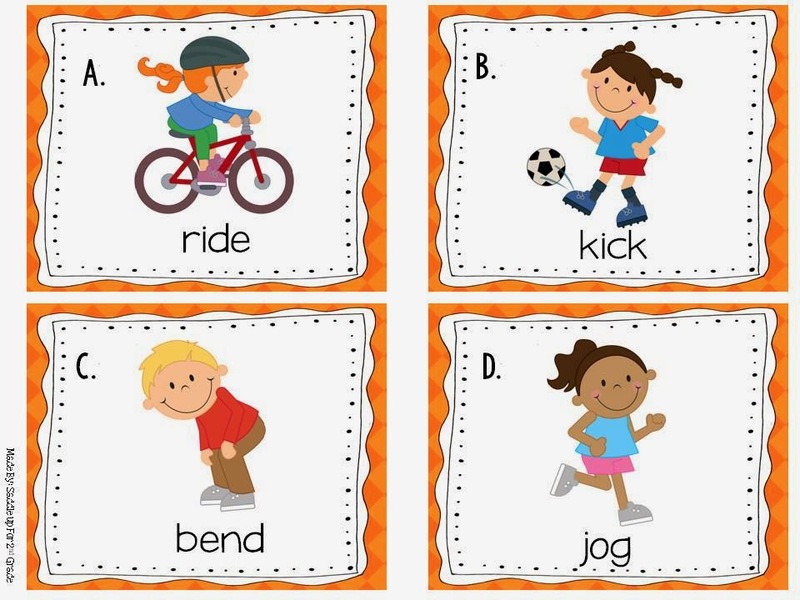 All of the activities are offered in color and black and white. I’m going to show you what a few of the activities look like. 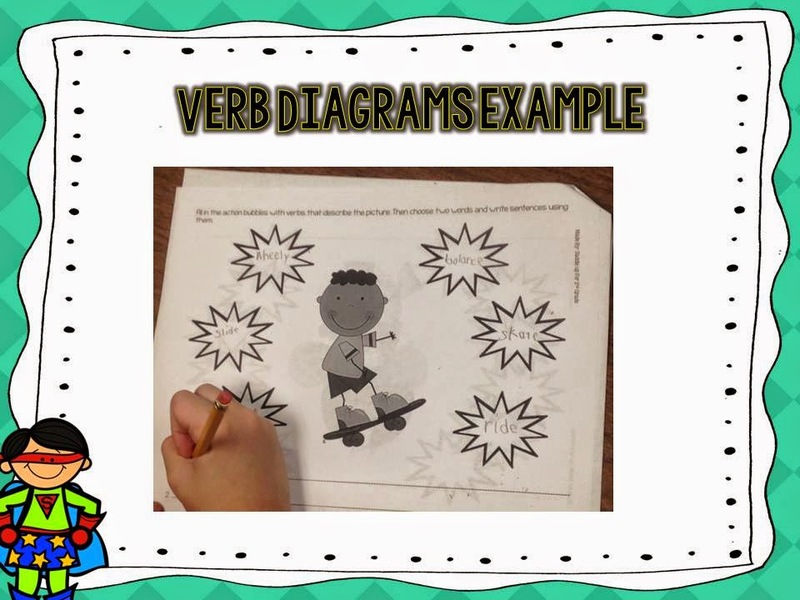 There are 5 different verb graphic organizers. 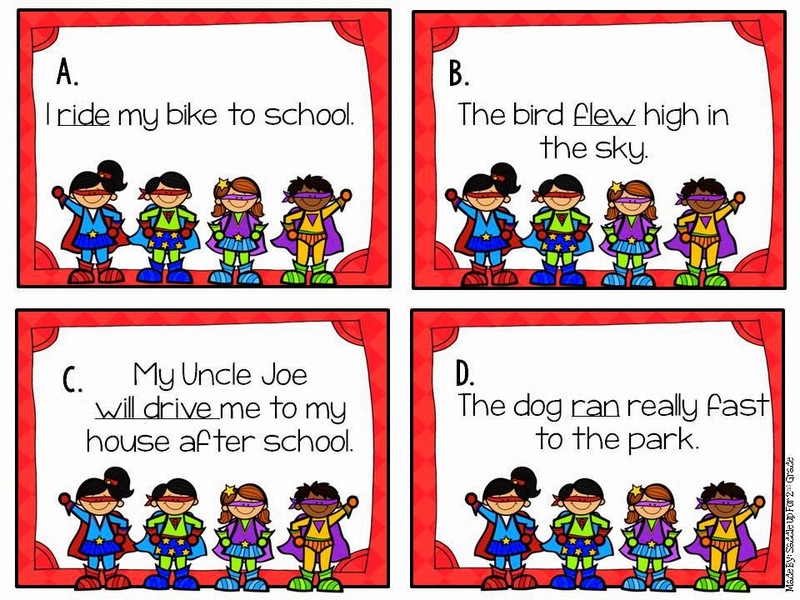 There is a superhero booklet that is great for brainstorming. 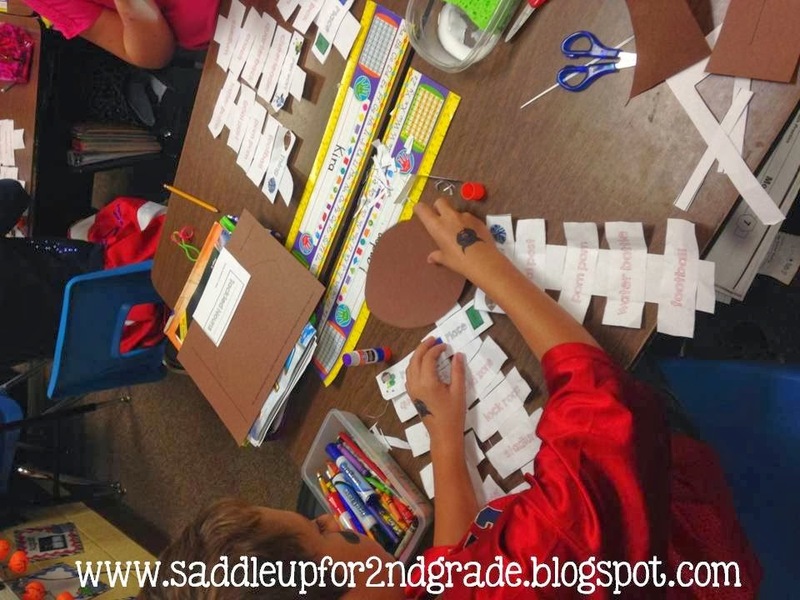 Two sets of task cards are included. 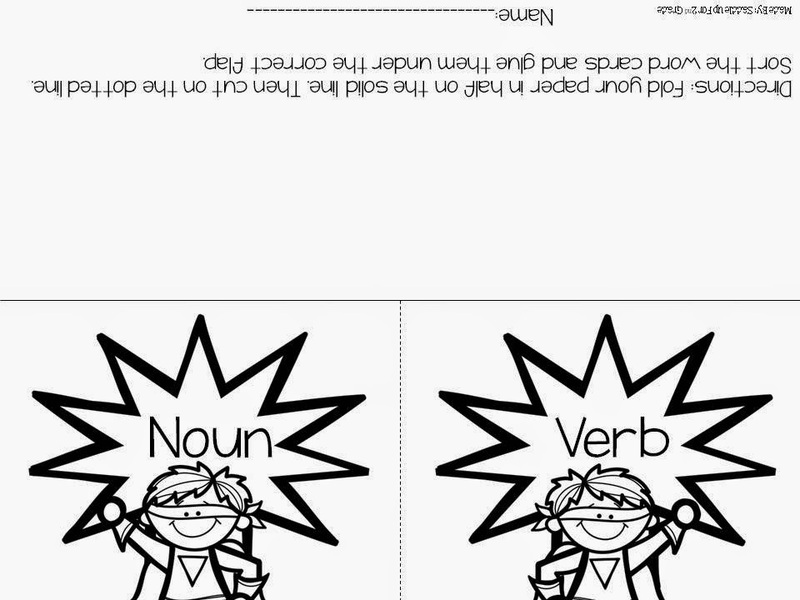 Set 1 includes picture cards and they have to use the verb shown in a sentence. 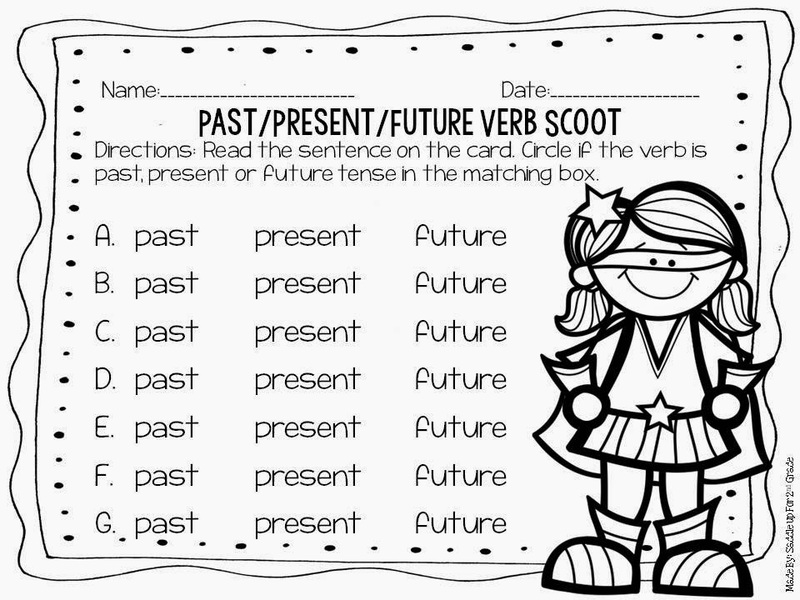 Set 2 is to review past, present, and future tense verbs. Tons of flip books are included. 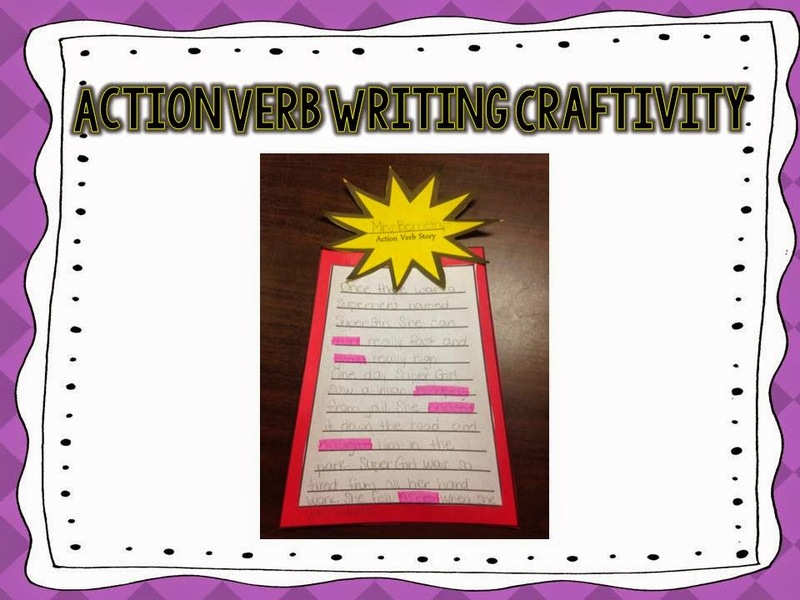 We did this super hero writing craftivity towards the end of the year once verbs had been mastered. 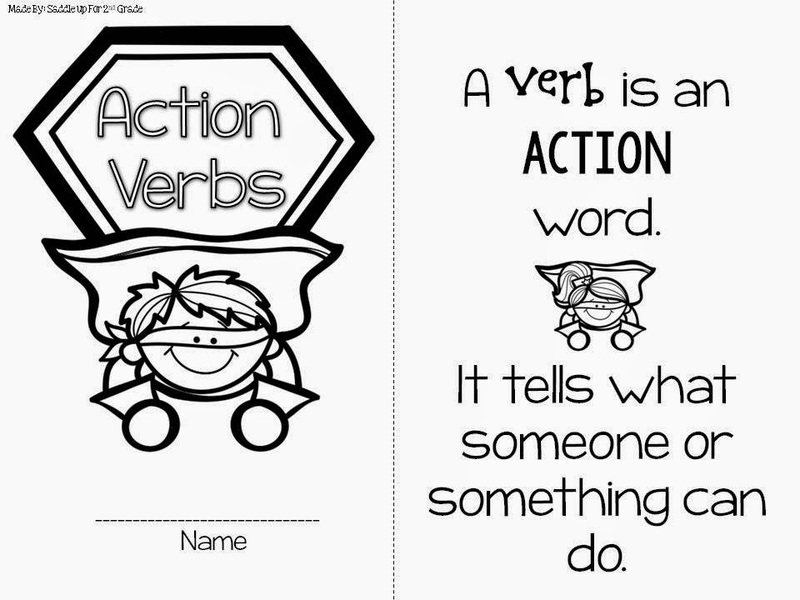 They wrote a story about a super hero and then highlighted all of the verbs in the story. You can get a FREEBIE from this unit by clicking here. 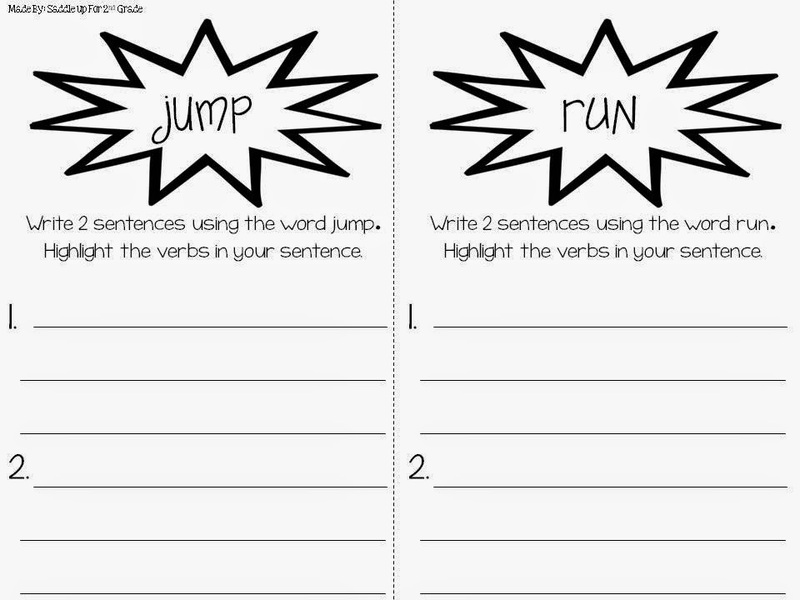 Here is a closer look at the entire verb unit. Both of these units are two of my BEST SELLERS! Grab them both today for half off! You can click on the links below to find some other great deals from other great sellers!